ÉTS : Control and Robotics Laboratory : Blog : Industrial robots : What’s the legacy of Rethink Robotics? Rethink Robotics was certainly one of the first companies to enter the collaborative robots market. However, I don’t think that the company had a major impact on that industry. Surely, Rethink’s marketing team did an exceptional job promoting the concept of cobots, and thanks to Baxter (which sold for only US$25,000, nearly four times cheaper than Kawada’s Nextage, featured in the above photo), hundreds of research labs were able to safely train students in the field of robotics and AI. However, Rethink’s technology itself did not influence any other robot manufacturer. Baxter was released in September 2011, but it was only in May 2013 that our lab managed to acquire one of the very first Baxters outside USA. (We now have two of them: one is the research version, the other is the industrial model.) By that time, Universal Robots had already sold more than a thousand cobots. It was only in March 2015 that Rethink Robotics introduced the more practical Sawyer. Two months later, Denmark-based Universal Robots was acquired by Teradyne, neighbor of Rethink Robotics, for $350M. By that time, Universal Robots had sold more than 4,000 cobots, whereas Rethink had shipped only several hundred Baxters, mostly to academia. 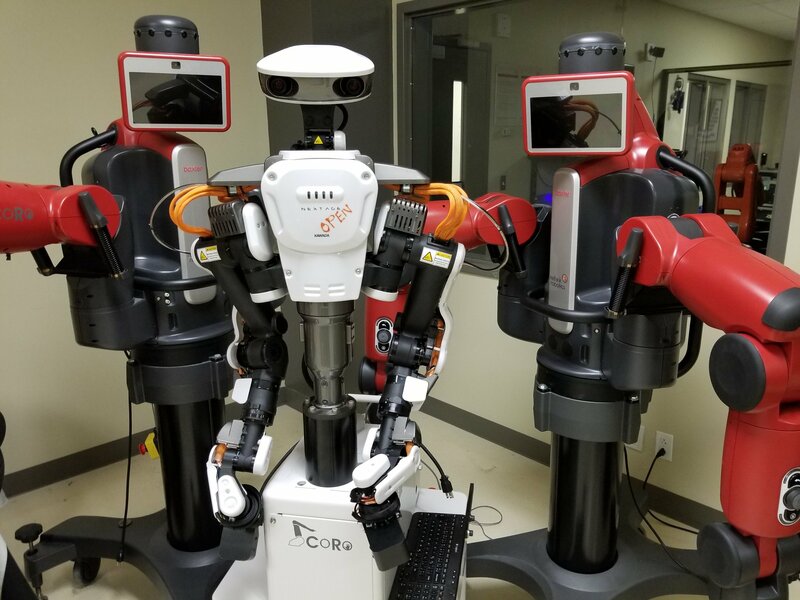 Today, there are dozens of cobot models that closely “resemble” the 25,000 (!) robot arms already sold by Universal Robots. And even the latest version of UR arms, while more sophisticated than the EasyBot (the very first version of the UR5), shares none of the advanced features of Rethink’s cobots (many of which are patented, of course). The e-series UR cobots do not have embedded camera, nor seven degrees of freedom, nor torque sensors in the joints, not series elastic actuators, nor self-collision avoidance algorithms. Universal Robots started with a simple, easy-to-use programming interface, a relatively standard, easy-to-manufacture robot arm, and some basic safety functionality. The company then gradually improved its product, and most importantly its distribution network. Rethink Robotics tried to release immediately a technology that was never tested before. Rethink Robotics developed cobots that were way too different from other industrial robots, both from technological and user points of view. It’s not because you target users that are possibly not engineers with robotics background that you need to make a perfectly safe, friendly-faced robot that can only be programmed through demonstration. I am truly sad about the company’s engineers; they did create two revolutionary robots that marked the robotics field and will continue to be mentioned in every future textbook on robotics. However, I doubt that there will be much interest in the company’s patent portfolio and other intellectual property, which are currently for sale. Tagged cobots, collaborative robots. Bookmark the permalink.